How can I better deal with the stress of my job or home life? Where can I find a more positive friend group to help me elevate my game? It’s time to address my high blood pressure, weight, cardiovascular health, bone density, Type 2 diabetes, etc., but how and where do I start? I’m ready to work on my health and fitness but how do I find the accountability to keep focused when my motivation wanes? How do I begin to get in shape without getting injured or feeling embarrassed? These are just a few of the questions that often lead people to our door. CrossFit may not seem like the obvious answer if you’ve seen images on social media of athletes doing extreme workouts, lifting ridiculously heavy weights or insane intensity. THAT IS NOT WHO WE ARE. We are a community of athletes from all walks of life and all levels of athleticism that come together to improve our health, our fitness and our lives. We are teachers, nurses, doctors, students, parents, grandparents, construction workers, and first responders. We are young and old. Some of us are dealing with health concerns or have significant weight to lose or are fighting addictions. Some of us are trying not to yell at our kids or spouses as much and to sleep better. Whatever your reason, you are welcomed and accepted here. If you are interested in getting started at Catacombs in the New Year, we have two options. The first option is Catalyst. We created it with you in mind. It is 8 weeks of focused work on building better habits and improving your fitness. There is even an option to work one on one with our nutrition coach during this period. Everyone is starting fresh and everyone is nervous. We will meet you where you are and be there every step of the way. Read more about Catalyst here. The second option for starting at Catacombs in January is through Private Training. It is the most effective way to move the needle on your fitness in a short period of time. Accountability is built in and your program is tailored to your needs and your goals. Scheduling is flexible on our end to accommodate a demanding schedule on your end. Work with a skilled and dedicated coach to finally get the results that have eluded you. 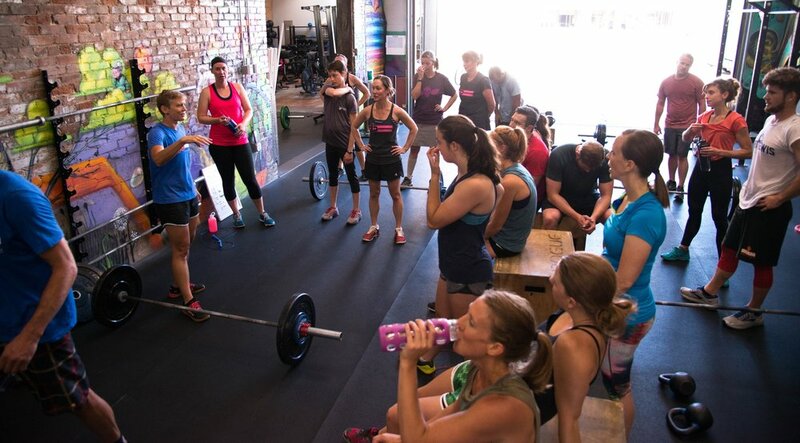 It’s not just about the exercise, our coaches go deep and talk about everything from nutrition to sleep to what’s holding you back. We are invested in you. Buying a gym membership does not buy you fitness. Hard work, commitment, consistency and accountability will get you there though. We are not interested in the New Year’s resolution land grab for new gym memberships. That’s not how you build community or change lives. We are interested in investing in those that are ready and willing to do the work to create real change in their lives. Are you ready? Older Post"Get to" or "Have to"